Kallie Clarke writes contemporary romance drawn from her background with a Masters in History and the antics of her large extended family. Kallie's stories are filled with tons of romance, passion, and her family's many "isms" that will keep readers in stitches. 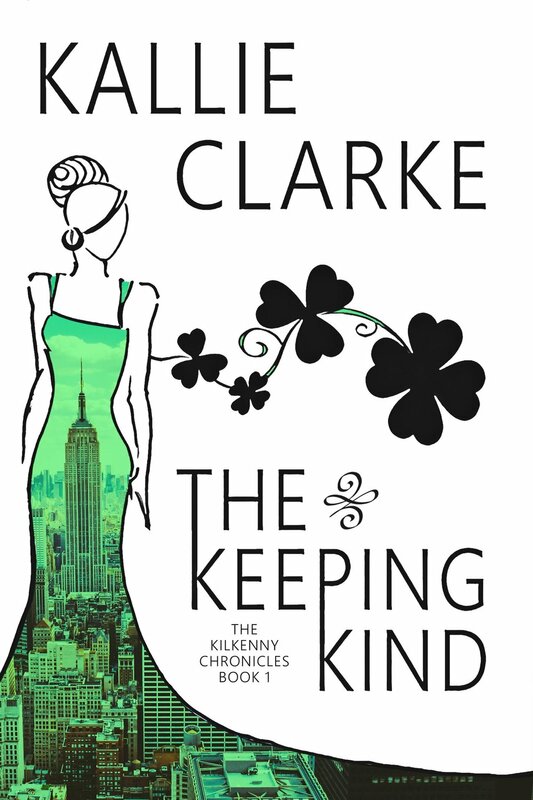 The Keeping Kind is Kallie Clarke’s debut novel in The Kilkenny Chronicles. Kallie is the alter ego of historical romance author Melanie Martin. Kallie lives in St. John’s, NL Canada. When not reading or writing she is spending time with her twin girls, her husband, their dog, and her large extended family of Irish descent. Jilted days before her wedding, Cassie Kennedy takes a major leap, leaving small town life in Kilkenny, Ireland, for a fresh start in the Big Apple. When her best friend plans a girls weekend to Las Vegas, lady luck delivers big when Cassie meets a blue-eyed charmer who sweeps her off her feet, forcing her to step outside her safe boundaries. Dax Carter has it all: looks, a Harvard education, a great job, and he circles freely among New York City’s elite. Topping off this lethal combination, he has a special relationship with one of the richest and most powerful families in New York. His world couldn't be better. That is until he shares a memorable night with fiery-haired Irish beauty, Cassie Kennedy and is forced to question his perfect life. When fate throws them together unexpectedly, Cassie falls hard and fast. Dax wants her, but can he really have her without opening up his past and exposing secrets that are not his to tell?